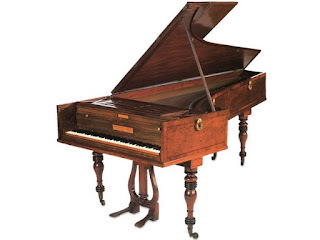 In May 1818, after an arduous journey from London via Trieste and the Alpine passes involving 360 miles via horse and cart, a Broadwood piano arrived in Vienna. It was Thomas Broadwood's gift to Beethoven; the composer was thrilled and would go on to write his late piano sonatas, (opp.106, 109 and 110). The piano was noticeably louder and more powerful than the Viennese equivalents, which helped him as he struggled with his deafness. 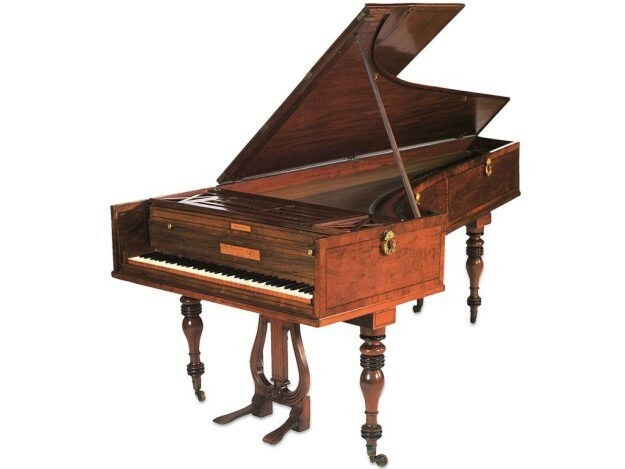 The piano survives and was subsequently owned by Liszt, who gave it to the Hungarian National Museum where it will be on public display this year. Thomas Broadwood was the proprietor of John Broadwood & Sons Ltd. Founded in 1728, it is now the world's oldest surviving piano firm and this year is rightly celebrating the centenary of the delivery of Beethoven's piano with a fine array of events including the chance to hear Beethoven on a number of early Broadwood pianos. Beethoven recital at the Clarke Clavier Collection, Oxborough, Norfolk at 3.00pm on 28 and 29 April 2018. Japanese fortepianist Mariko Koide performs on an 1812 Broadwood grand. Tickets: 01366 328217. Lunchtime recitals on early Broadwood grand pianos by Yehuda Inbat and Amiran Zenaishvili at the Royal Academy of Music Keyboards Museum, London NW1 5HT on 2 and 9 May 2018 at 2.30pm. Details at www.ram.ac.uk. First concerts in the new recital room at the Richard Burnett Heritage Collection, Waterdown House, Tunbridge Wells, Kent TN2 5LE. On 10th June 2018 at 2.30pm and 6.00pm, young virtuoso Julian Trevelyan plays Beethoven on early Broadwood grand pianos, with commentaries from Dr Alastair Laurence. Tickets: 01892 523203. There are events abroad too, with exhibitions in the Beethovenhaus in Bonn and at the Hungarian National Museum in Budapest, and a commemorative concert and tours in Mödling near Vienna, Beethoven's Summer residence.